Are you looking to add renewable energy to your home? If you are, look no further than us here at Warmfront Plumbers. There are many great benefits that come from renewable energy, including cheaper annual energy bills and also a reduction in your carbon footprint. Renewable energy is a much cheaper alternative to oil and gas, as prices of these are soaring. Renewable energy is also much more environmentally friendly, if you’re looking to reduce your effect on the environment. Here at Warmfront Plumbers we have a wide range of renewable energy systems available, which will be fitted by one of our renewable energy professionals. The thing with fossil fuels is that they are very expensive and long term, they probably won’t be around for very long. With renewable energy your energy supply will be much more secure. Fossil fuels are imported from overseas, which is just one of the reasons as to why prices of them are soaring. By adding renewable energy to your home you will be able to enjoy a reduction in your energy outgoings. With renewable energy you will see a drop in your energy bills by as much as 80%. For the environment, renewable energy is the perfect option. Renewable energy greatly reduces greenhouse emissions and also carbon emissions. For a cleaner way of running your home, renewable energy is definitely the way to go. The cost of heating your home will be greatly reduced. With us, here at Warmfront Plumbers, you will receive a workmanship warranty. At Warmfront Plumbers you will receive a free consultation, which will be carried out by one of our renewable energy experts. There are many government incentives available that are especially for renewable energy systems. The Renewable Heat Incentive or RHI is an incentive that will help you with the costs of your renewable energy heating system. The government fully understands the requirement for renewable energy, which is why they offer this new incentive, so that you can have greener energy in your home. So, if you’re thinking about adding renewable energy into your home, we at Warmfront Plumbers can help you. 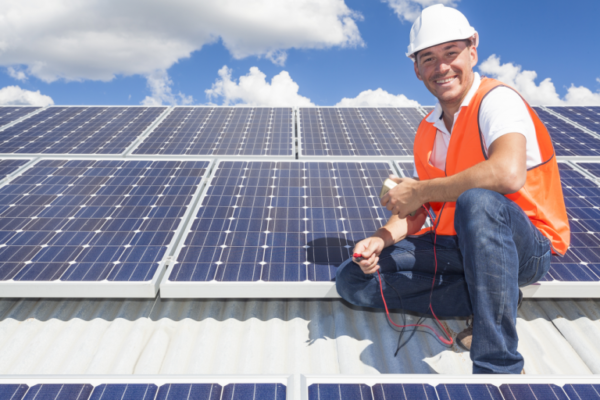 We have dedicated renewable energy experts that are available, to help guide you through what renewable energy systems would best benefit you and your circumstances. Renewable energy is definitely the way to go and you will benefit greatly from it. Cheaper energy bills and a reduction in your carbon footprint could be yours when you add renewable energy to your home. Get in touch with us soon at Warmfront Plumbers. We have a wide range of renewable energy options available that we’re certain you will love. Learn about your renewable energy options.